The Adafruit NFC shield uses the PN532 chip-set (the most popular NFC chip on the market) and is wha..
1Sheeld is a "Bluetooth Tethered" shield for Arduino. 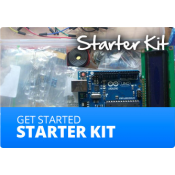 Plug it into your Arduino and then run th.. The driver circuit based on 3 MBI5168 constant current sink drivers and a M54564 darlington source d.. The Arduino Duemilanove (“2009″) is a microcontroller board based on the ATmega168 o.. The Arduino Esplora is a fun new game controller-shaped microcontroller board derived from the popul.. 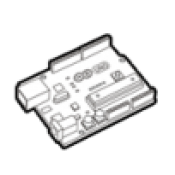 The Arduino Leonardo is a microcontroller board based on the ATmega32u4 (datasheet). It has 20 digit.. 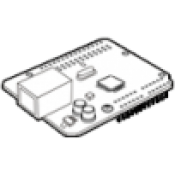 The Arduino Mega ADK Rev3 was designed to work with Android. It is a combination of hardware an..
1. Features 1). ATMega 32U4 running at 5V/16MHz 2). Supported under IDE v1.0.1 3). On-Board micro.. This is the Arduino V2 Pro Mini! It's thin (0.8mm)! This Mini board has an adjustable voltage regula..